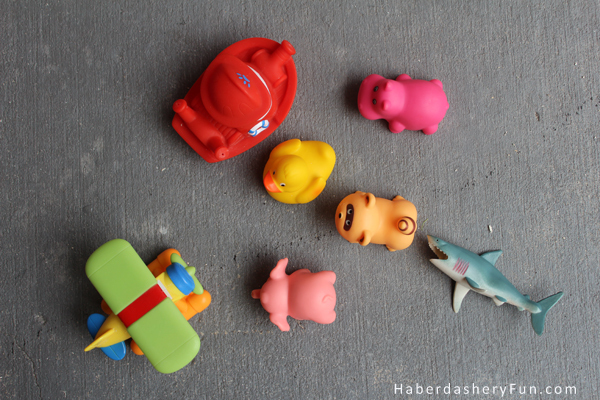 Do you have toys at the bottom of your tub? Shoved in the corners? I do, every night. Each morning I bend over to pick up all the little bits before I take my shower or bath… For months I have wanted something to hold all the little toys. 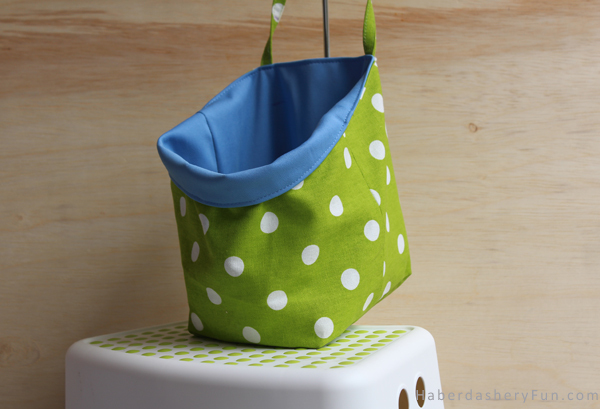 Then I realized that I should sew a bath tote! This was really easy to make. I made a smaller version a few months ago. You can see the post here. This bath bag is a lot larger so I can fit all the toys. I used cotton canvas for the outside and waterproof PUL fabric for the interior. This was my first time sewing with PUL fabric. I wasn’t sure how my machine would react to the PUL, but it was easier than expected. 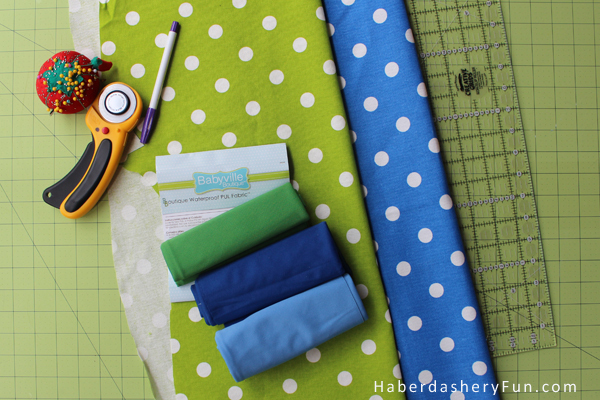 I made the stitch length a little longer and the fabric sewed like a dream! Not sure how you would hang this in your bathroom or shower area? I found these awesome clear suction cups at The Container Store. I used 2 and you can adjust them up/down or anyway needed! 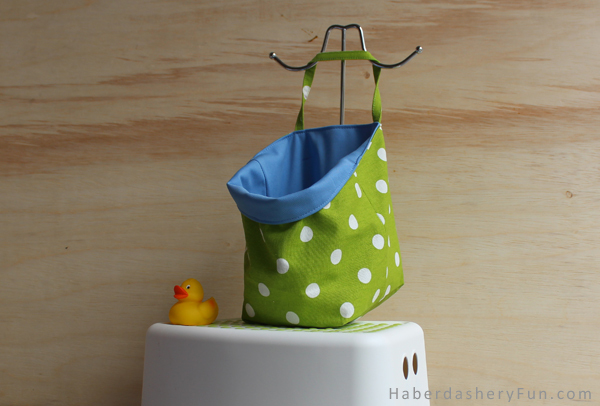 I am always looking for something to store the kid’s bath toys. This would be perfect! I found your site on Tater Tots and Jello. Thanks for the tutorial! I love this! What a genius idea. Thanks for linking up at the Ginger Jamboree!